Picture this: you’re sat with a cold glass of freshly squeezed orange juice in a cool retro environment whilst listening to some 70s rock and funk tunes. Your skinny latte has arrived with your gourmet Health Kick Start breakfast and you’re feeling the good start to your day. Welcome to the Dancing Moose. The Dancing Moose has venues in Ashley Cross, Wimborne, Penn Hill and Bournemouth and has launched their new and exciting menus in all venues. On the breakfast menu you’ll find the ever-popular BAE (bacon, avocado & poached eggs). If you’re looking for something with a little more kick, try the California Eggs, two poached eggs on grilled sourdough, with chipotle BBQ pulled pork, jalapeños, seasoned avocado, house-made salsa and spiced hollandaise sauce. Team this with a fantastic Bloody Mary and you’ve secured yourself a strong start to your day! 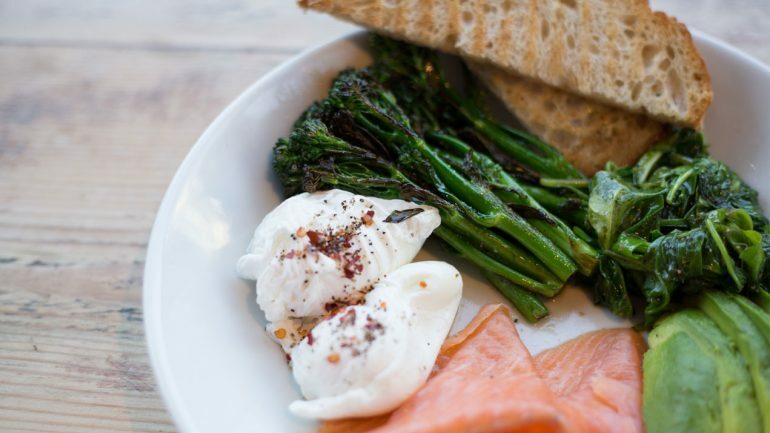 The classic Big and Little English are still available for those fancying a more traditional gourmet breakfast and they have introduced the Vegetarian English and fresh Vegan options too. The largest Moose venue is in Bournemouth and is positioned across from the popular central gardens. Free Wi-Fi and an abundance of seating is provided to support laptop workers, making it a popular location for business catch ups. The Dancing Moose mission is to create feel-good social spaces for students, workers, residents and tourists alike. Serving food and drink from morning ‘til night, the Dancing Moose has you covered for every social occasion.